The Device Identification Registration and Blocking System (DIRBS) of Pakistan Telecommunication Authority (PTA) is become functional from December 1st, 2018. Most importantly, this news circulates on Wednesday the 28th November 2018. Hottish-PTA DIRBS System. Besides that, most of the Mobile users in Pakistan have already inquires the validity of their mobile device. Because, the PTA had given a deadline for blocking unregister mobile phones i.e. 20th October 2018, which was later on extend. Hottish-PTA DIRBS System. The deadline was extend by PTA, keeping in view the requests from Mobile Devices consumers and stakeholders, and to create further awareness for the general public. Now PTA has given another deadline for registering your Mobile Devices i.e; December 1, 2018 (till 11:59 pm). Hottish-PTA DIRBS System. Therefore, all the Mobile Devices which are active till December 1, 2018, with any Pakistani mobile network will stay in service afterwards. Most importantly, counterfeit Mobile Devices that are active till December 1, 2018, on any Pakistani Mobile network will be pair with their respective mobile number and will also stay in service afterwards. Because, after December 1, 2018, before buying any new or use Mobile Devices, mobile users should verify the device by checking its IMEI number. Dial *#06# as a result you will receive a 15-digits IMEI number, note it down. Besides that, IMEI number is also print at the back of Mobile phone and customers can also check it by removing the back cover/battery (if removable) of their devices. Therefore, all Mobile Devices users in Pakistan are request to check their device IMEI status latest by 1st December 2018 to avoid any inconvenience. 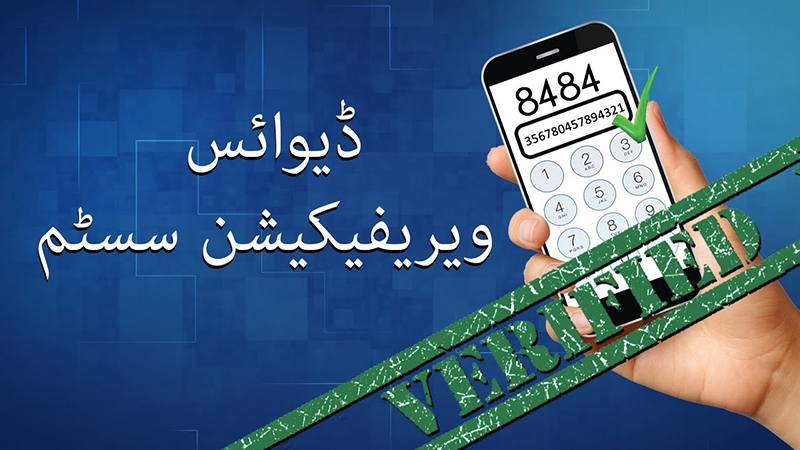 Besides that you can send 15 digit IMEI number through SMS to 8484. Hottish-PTA DIRBS System. Most importantly, you can also register your Mobile Devices by loging to PTA DIRBS https://dirbs.pta.gov.pk or DIRBS for Android App.